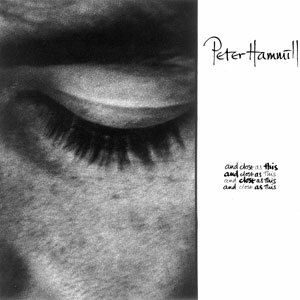 And Close As This is an album by Peter Hammill, released on Virgin Records in 1986. Each track on the album is a song played and sung by Hammill solo at a keyboard, with the keyboard parts played in a single take. Two of the songs use a grand piano as the keyboard instrument; for the others, Hammill played a MIDI master keyboard, recording the MIDI notes, and using them to trigger a variety of MIDI sound modules (mainly electric piano and organ sounds). The delicate and intimate sounds make it a work completely unusual, with a style hardly comparable with that of only seemingly similar albums by other artists (with the partial exception of Current 93’s Soft Black Stars). Here is a funny clip with Keith Emerson, where he doesn’t remember cowriting the song!